Assassin's Creed II is an upcoming third person action-adventure video game being developed by Ubisoft Montreal and published by Ubisoft, the sequel to Assassin's Creed. It is set to be released in North America on November 17, 2009 and in PAL regions on November 20, 2009 on Microsoft Windows, PlayStation 3 and Xbox 360. 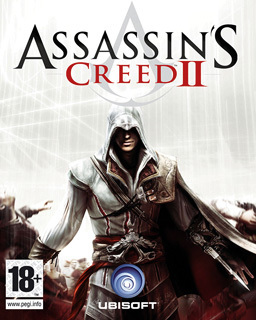 Assassin's Creed II takes place in an open world with nonlinear gameplay, allowing the player to free-roam the city at will. 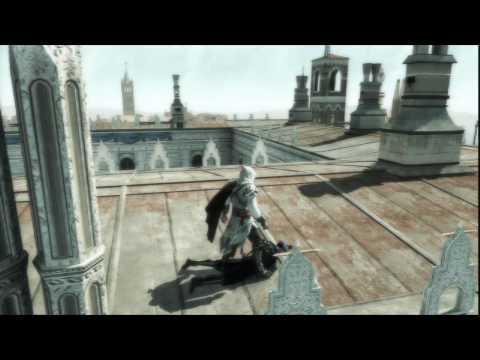 An article published in Game Informer reveals that Assassin's Creed II will grant the player the ability to swim and use the canals of Venice as hiding spots and will allow the player to drag city guards into the water as a means of assassination. At E3 2009, it was also confirmed by the creative director that Ezio (the character that the player assumes control of during gameplay) will be able to "drive small boats." Historical figure Leonardo da Vinci is recreated within the game, as an aid to the player who provides a host of weapons and contraptions available for use. At one point in the game, the player can access Leonardo's flying machine which he actually built, keeping airborne using thermals from fires lit by friends,thieves, gathered previously in the game. The game will also feature a host of new mission types for the player to complete.